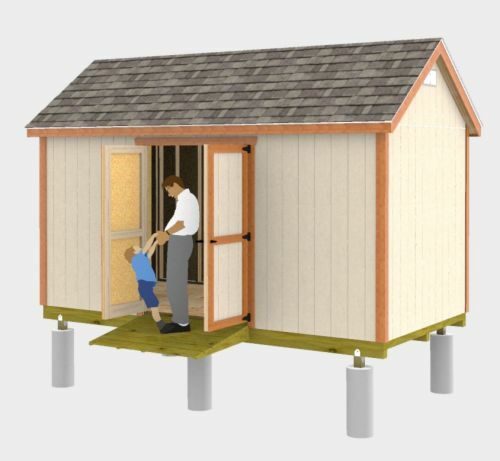 All of the following is available as an instant download in pdf format right after you pay for the shed plans. 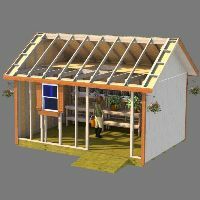 Comprehensive and detailed with lots of pictures and illustrations to make your shed building project an enjoyable and easy one. 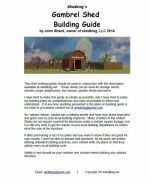 Download the guide now. Totals for each project phase and grand totals for each lumber size shown. Download the materials list now. 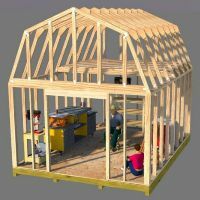 I always get back to you promptly about any questions you may have about the shed plans or building questions you may have. Floor: wood framed floor using treated 2x6 lumber spaced 16" on center. 3/4" plywood floor sheeting. Walls Framing: 2x4 framing at 16" on center with a double top plate. 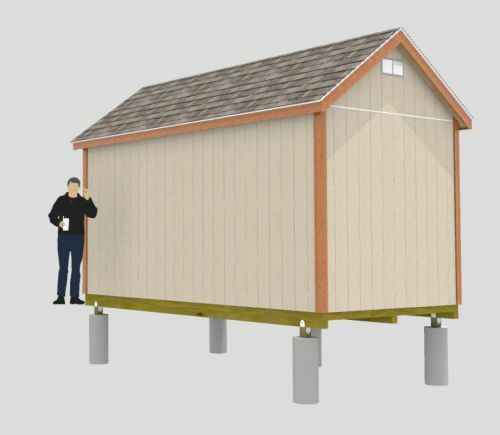 Wall Height: The shed wall height is 7'-6.5" . 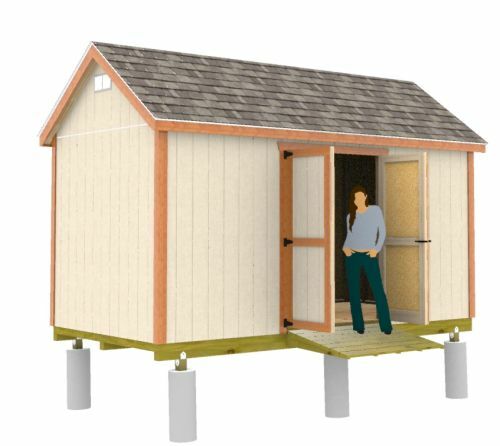 Door: 5' wide double shed doors 6' 5.5" tall. Siding: Smartside siding panels shown in plans. Or T-111 exterior siding can also be used. Other sidings such as vinyl may be used. 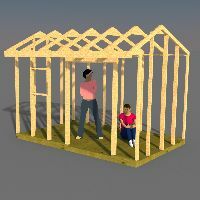 Roof: The roof is framed using a ridge board with 2x4 rafters spaced 2' on center. Sheeting for the roof can be 1/2" OSB or plywood. 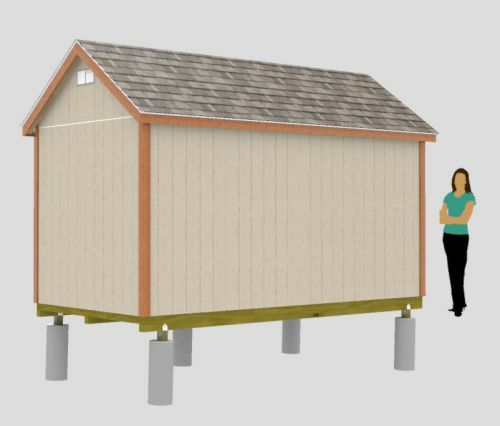 Roof Pitch: 8/12, For every 8 inches of rise there is 12 inches of run horizontally. Roof Overhang: 5" on the sides and 5" on the front and back. Trim: 1x4 and 1x6 wood, cedar, masonite or cement trim materials can be used to finish the corners, roof eves and fascia, and door. 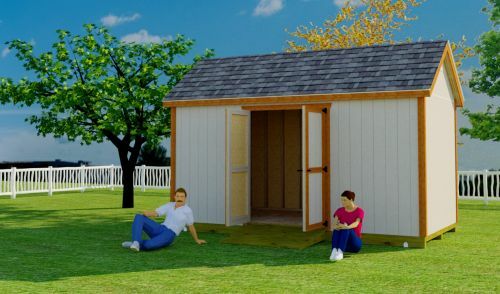 If you are ready to build this neat 8x16 gable shed that's easy and fun to build, especially if you get your family involved, use the 'buy now' button located below. Please remember that as soon as you purchase these plans you will immediately receive a link to download the plans. If you do not, then the link has probably gone into your junk or spam email folder. If this is not the case, then please contact me, and I will send the plans as an attachment to an email from shedking@gmail.com. More shed plans at shedking.